the gorgeous, graceful, yet wily actress who was best known as Morticia Addams on the Addams Family TV show in the 1960's. Or that she was a disc jockey? 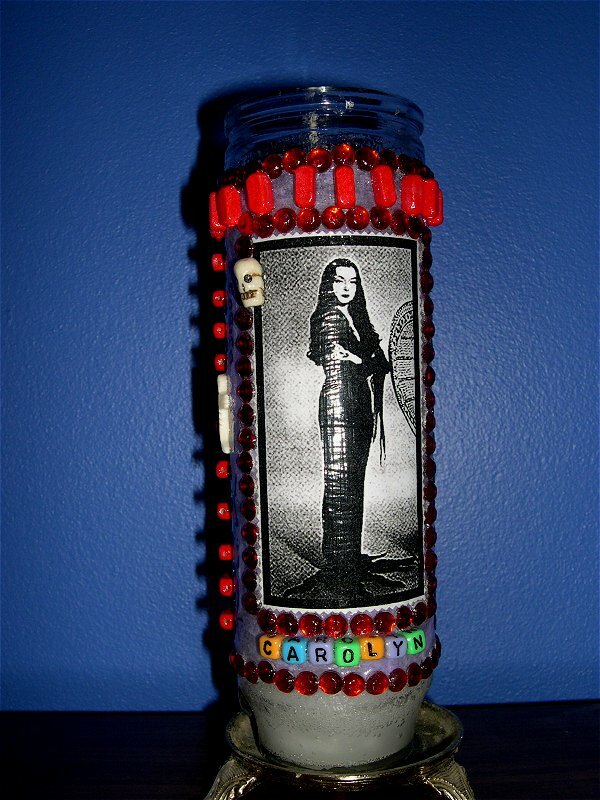 Carolyn Jones was born on April 28, 1929, in Amarilllo,Texas. She died on August 3, 1983, at her home in California. To see a list of her amazing accomplishments in film and television, click here. 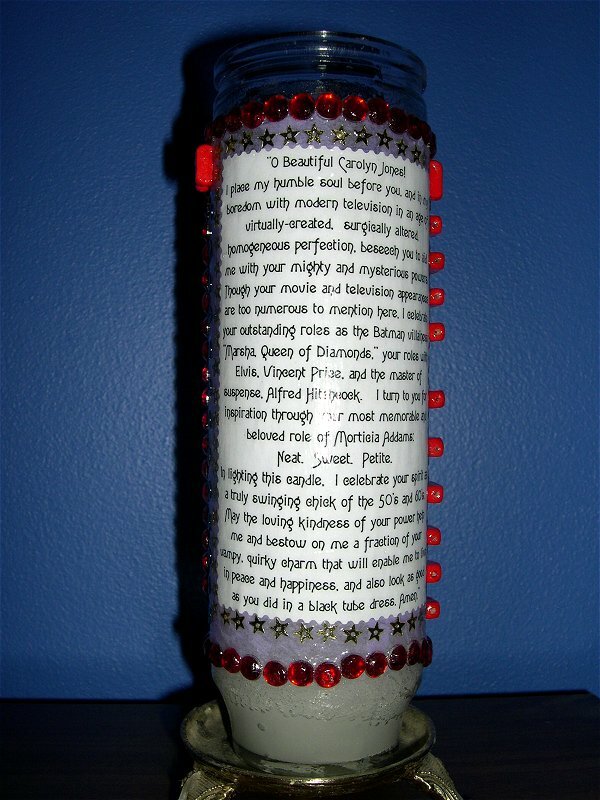 I created this lovely, decoupaged, and oh-so-tasteful inspirational candle for Carolyn Jones and wrote a prayer for her. and also look as good as you did in a black tube dress. All images and information copyright Rachelle Rose 2004 - 2009 and beyond.